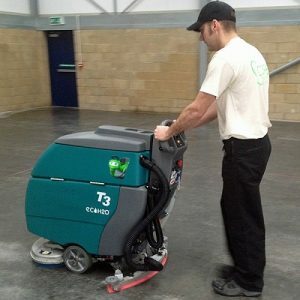 The Tennant T300 New Battery Scrubber Dryer is a good sturdy reliable machine. 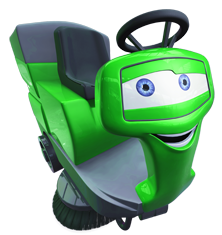 which has a Traction Drive Option and single or twin brush heads. This machine produces an excellent finish to the floor. Very popular! 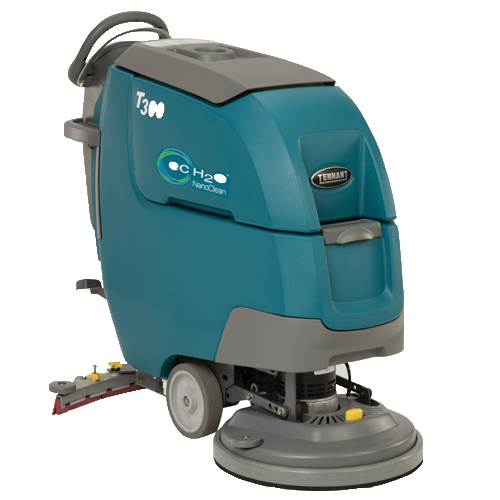 THE Tennant T300 New Battery Scrubber Dryer PROVIDES THE RIGHT SOLUTION FOR YOUR SPECIFIC APPLICATION WITH A VERSATILITY THAT IS UNMATCHED IN THE INDUSTRY. 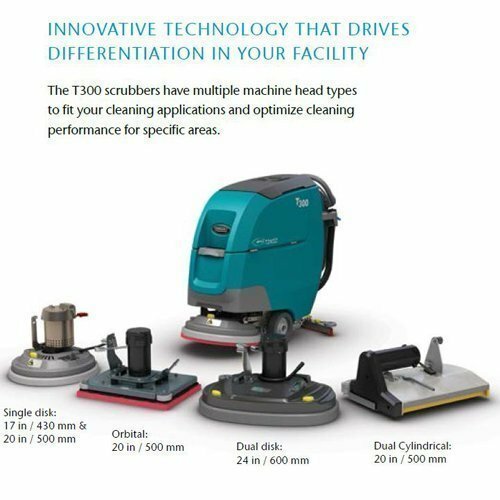 IMPROVE THE EFFECTIVENESS OF YOUR CLEANING RESOURCES, INVESTMENTS, AND OPERATIONS WITH NEW SUSTAINABLE TECHNOLOGIES. Improved and durable components extend machine life and reduces cost of ownership. Innovative features help protect health and safety of your operator, building occupants and the environment. 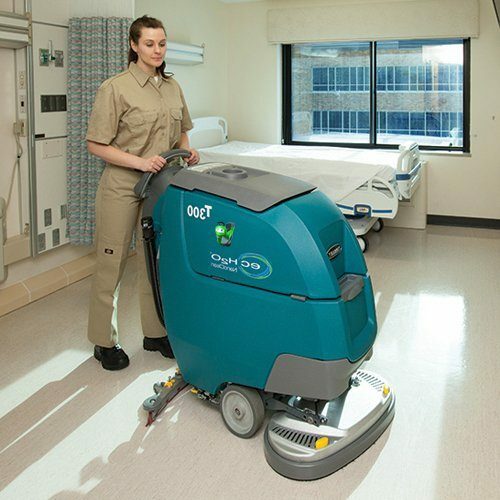 Use of ec-H20 NanoClean™ reduces the consumption of daily floor cleaning detergents to help meet your sustainability goals. 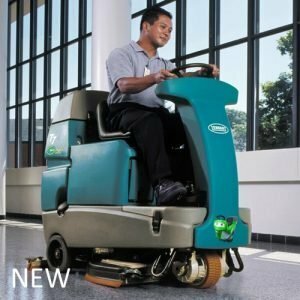 – Squeegee design helps ensure dirt and soils are removed from the floor for minimum risk of slip-and-fall accidents and enables faster, easier installation of replacement TennantTrue® squeegee blades. – Easy fill port makes filling the unit simpler, faster and reduces the chance of spills. The integrated hose clip keeps the hose in place allowing the operator to work on other tasks during the filling process. – Flow control valve helps to control the flow rate when draining and reduces the risk of contact with dirty recovery water. 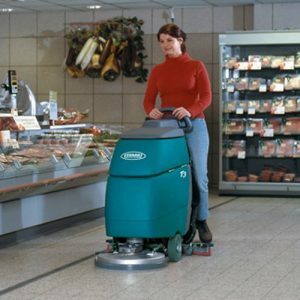 It also decreases the need for secondary cleaning operations caused by spills. – Battery venting with onboard charger fan and integrated venting allows the batteries to be charged safely with the lid closed. 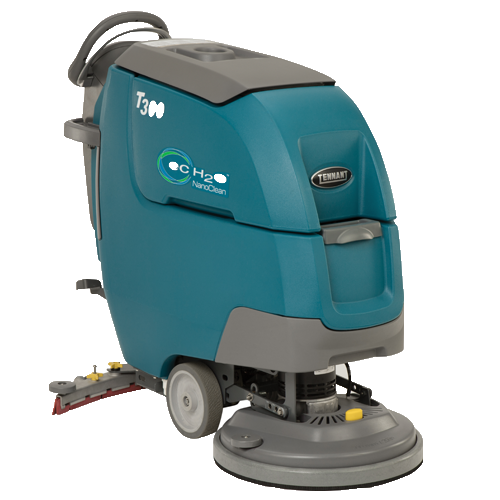 – Optimal down pressure and RPM improves cleaning performance. – Accessory tray allows you to keep the necessary cleaning supplies at hand, reducing trips to the cleaning cupboard. – Yellow touch points helps simplify preventative maintenance and training, which prevents breakdowns. 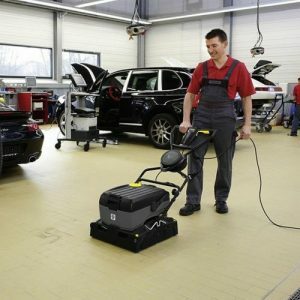 – New machine electronics allow the machine to clean finished concrete surfaces and work with abrasive pads and brushes. 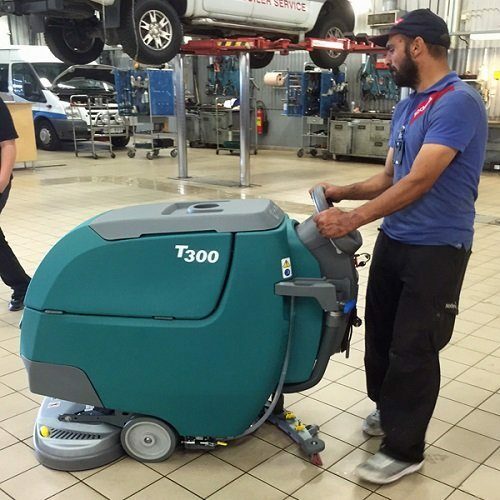 – Onboard machine instructions help ensure the machine is operated in a safe manner for better results, simplified training, and reduced cleaning costs. – Insta-ClickTM patent-pending scrub-deck allows TennantTrue® pads and brushes to be installed ergonomically, resulting in a safer and faster installation. – Quiet-ModeTM reduces noise levels for daytime cleaning without disruption. 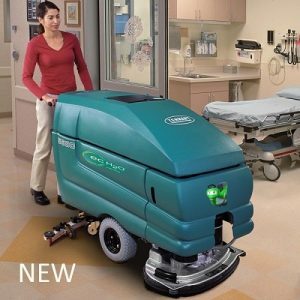 Perfect for healthcare, education and office cleaning. 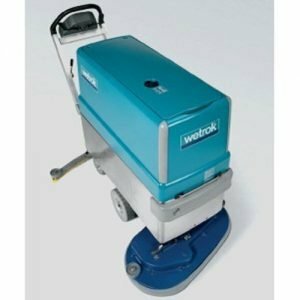 – Orbital scrub-deck delivers hassle free floor stripping, and deep grout cleaning. – Zone SettingsTM allows supervisors to easily set specific cleaning parameters for different applications. 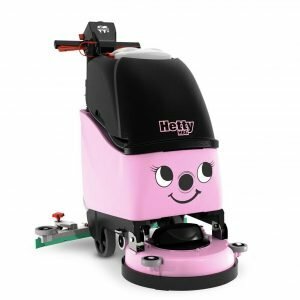 The saved cleaning programmes give the operators the flexibility to switch quickly from one setting to an other.